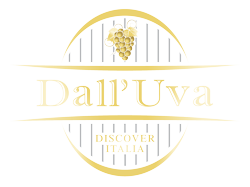 Welcome to the Dall’Uva “Tasting Notes” Podcast! Today’s Podcast is the second in a three-part series where Sommelier Michael Horne unlocks the secret to selecting good Vino Italiano, with an opinionated (but thoughtful) tour of the most popular Italian regional wines, from top to bottom along the Italian peninsula. Pour a glass of vino, kick back and join us for today’s Podcast, and be sure to subscribe to our Wine Journal for Michael’s latest recommendations in Italian wine, food and travel. Note: Add your own comments to this podcast by clicking on the timeline of the audio track above, or leave your comments in the Comment Section below. 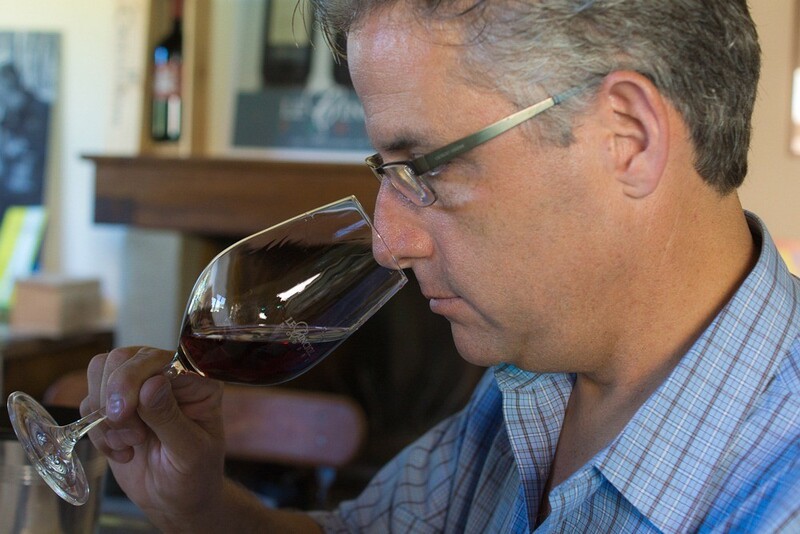 Ciao, this is Michael Horne and welcome to the next edition of the Dall’Uva Tasting Notes. I’m your personal Sommelier today, and in this episode we’re exploring the most popular Italian wine making regions and the grape varietals grown there. I’ll give you some of my current vino recommendations that you can pick up at your local wine shop or online, wines that really show off what these wine-making regions can do. Since there are so many great wine making regions in Italy, I’ve broken this into a 3-part series. In Part 1 I covered the Northern Italian wine making regions. Today we’re covering Central Italy, and in the next podcast I will cover the South. 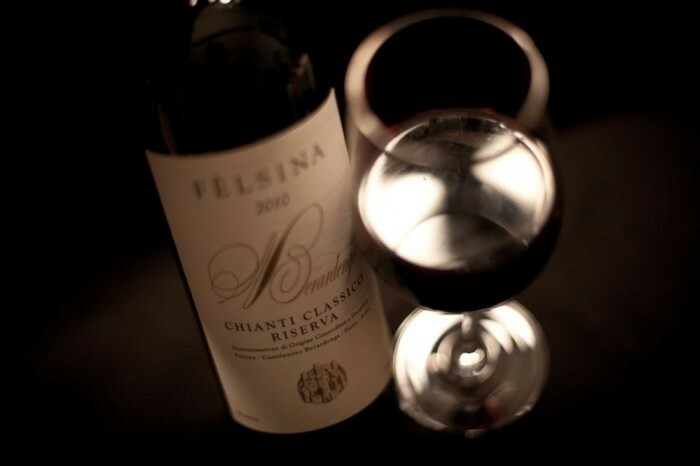 In each Part, we’ll explore distinctive Italian regional wines that you can easily find in wine shops and restaurants. Don’t worry about writing all of this down, you can find a transcript of this podcast in our Wine Journal blog on dalluva.com, with links to where you can locate the wines and references I mention here. OK, now onto central Italy, where the most popular tourist areas coincide with the most popular wines of Italy. Of course, we’re talking mainly about wines from Bella Toscana, and there are a lot of them. Most are red wines, and that’s what we’re going to focus on today – with two regional wines in particular that you probably already know about. We’ll then visit Tuscany’s neighbor, Umbria, for another red wine getting accolades these days, and then check out the wines most popular in Rome. When I say Chianti, what does that make you think of? You might be thinking about the Chianti of days gone by – the thin, acidic reds in bottles wrapped in a straw basket, and served in old-style Italian-American restaurants that dish up huge plates of spaghetti. Chianti had a well-earned reputation for being thin plonk for years, and that came from an era, back in the 50s, when producers were more interested in maximizing the number of bottles of wine they made, instead of the quality of the wine. They literally flooded the market with cheap wine. All that started changing in the 70s, with a few bold producers reducing the yield of grapes in their vineyards, and focusing on making quality wines that show off what the Sangiovese grape can really do in central Tuscany. Today’s Chianti wines are some of the most exciting and well made wines in the world, and you need to know about them. The Chianti wine region is pretty large, located mostly south of Florence, and has been broken up into individual sub-zones. The historic nucleus of classic Chianti production is in the mountains due-south of Florence, near the towns of Greve, Radda, Gaiole, and Castellina, and as you might imagine, it’s a DOCG zone and it’s called Chianti Classico. There are other Chianti zones, like Chianti Colli Senesi and Chianti Colli Aretini that produce nice wines, but most of the best Chianti wines are produced in the Chianti Classico zone — and that’s where I recommend you focus when you’re exploring Chianti wines. The Chianti Classico zone includes hundreds of great Chianti producers, and you could spend a lifetime tasting and learning about the unique wine making styles of these producers. Some of the big-names, like Felsina, Castello di Ama, Barone Ricasoli, and Ruffino, win high scores from Antonio Galloni and Gambero Rosso “tre bicchieri” awards year after year — you just can’t go wrong with these producers. 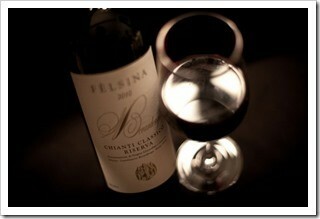 Personally, I’m a big fan of Felsina, and their Chianti Classico Riserva 2012 bottling is an outstanding value. It’s 100% Sangiovese, with lots of ripe raspberries, bing cherries and violets on the nose, and when you take a sip you’ll get all of this plus some hints of cranberry, and a touch of smokiness from the aging barrels. It’s a great value at around 25 bucks, and you can find it throughout the US in wine shops that have a good selection of Italian wines, or just buy it online. If you can’t find the 2012, other vintages are also excellent, including 2010, 2011 and 2013. 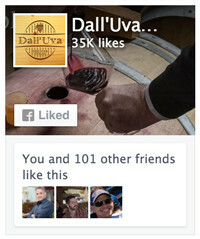 Check out dalluva.com for links to recommended wine shops. Moving south of the Chianti region is the first and perhaps the most famous Italian DOCG zone called Brunello di Montalcino. Montalcino is an ancient hill town where they’ve been producing big, powerful red wines for hundreds of years using the Brunello clone of the Sangiovese grape. Brunello translates loosely as “nice little dark one”, and the name was coined by the man who put Brunello on the map, Clemente Santi. The Brunello clone of the Sangiovese family is different from what’s planted up in the Chianti region, and the soil, microclimates and wine-making methods of Montalcino are dramatically different — all of which gives Brunello a distinctive style. Remember when I said that up in the Barolo region of Piemonte, there are both traditional Barolo producers and “new school” producers? Well, it’s the same in the Brunello DOCG zone, with traditional Brunello winemakers producing big, age-worthy Brunello wines in a classic local style competing with younger, aggressive Brunello producers taking tradition to a new level with a more international style. These differing wine-making styles create a great deal of drama in the local Montalcino wine community, with hot tempers and fractious discussions, but Brunello wine lovers are the real winners of this competition. For the classic Brunello style, the big producer names include Biondi-Santi, Lisini, Castello Banfi, Soldera – there are dozens of them, each with a distinctive house style influenced by the location of their vineyards around the Montalcino hill town, yet they have much in common. The traditional producers age the wines for 3 years or more in the large Slavonian oak casks called botti grandi, which are quite large and impressive, holding anywhere from 2,000 to 12,000 liters of wine – that’s 10-60 times bigger than your classic French barrique wine barrel. When the oak casks are so large, there’s less wood in contact with the wine during the aging process, and so the traditional Brunello wines can have less oak characteristics on the nose and palate. That said, some Brunello winemakers like Soldera have been known to age their wines for 10 years or more in botti, with impressive results. 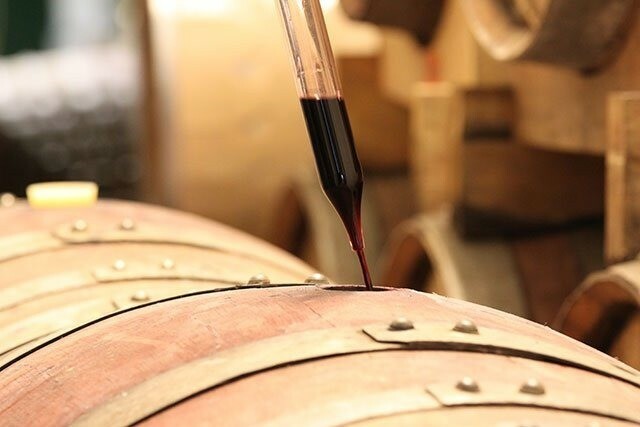 Back in the late-80’s, a few Brunello producers started experimenting with small French oak barrique (225 liters) and tonneau (500 liters) barrels for aging the wines. These “new school” producers like Siro Pacenti, Uccelliera and Casanova di Neri felt that Brunello could be much more interesting with the prudent use of French Oak. 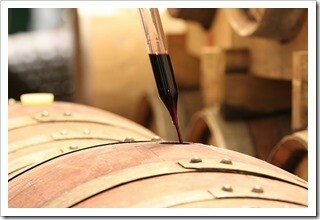 Today you’ll find very distinct differences between the classic and “new school” Brunello wines. The classic wines aged in large casks offering flavors of currants, red cherries, cinnamon and cedar, while the “new school” bottlings take on richer flavors with vanilla and baking spices. So which Brunello style should you drink? Well, whatever pleases you most, of course! I recommend you try both styles and see what excites you the most. For a classic producer, you can’t go wrong with Lisini and their Brunello wines from 2008, 2009, and 2010, and the 2011 looks promising as well. While the 2010 Lisini is outstanding, it will run you about $60+; I’d consider the 2009 or 2008 vintages which are more reasonably priced around $45. On the more modern side, I recommend you try one of my favorite Brunello producers, Siro Pacenti. Winemaker Giancarlo Pacenti’s 2011 Brunello will absolutely knock your socks off. 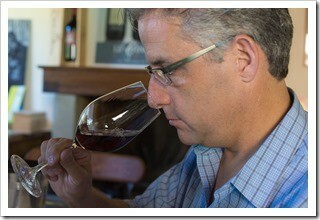 Giancarlo is a brilliant producer, and his elegant Brunello 2011 really shows off his passion. Taste this wine and you’ll find layer upon layer of black cherries, blackberries, blueberries, leather, violets and baking spices – it really goes on and on. It’s a little more expensive than the Lisini at about 70 bucks, but it’s well worth the price. I’ve listed some places where you can find the Lisini 2009 and Siro Pacenti 2011 Brunello wines on dalluva.com, give them a try. We’ve covered two of Tuscany’s most famous wines, now let’s drop in next door to see what’s happening in Umbria. Beginning over 700 years ago, just south of the Umbrian town of Perugia, Franciscan friars used to raise a local indigenous grape to make raisins for use in religious rites. They named the grape Sagrantino, which kind of translates to sacred grape, and the friars used it to make a sweet, late-harvest wine that goes by the same name. Sagrantino was such an important grape and wine that the locals in the region created laws dating back to the 1600’s specifying where and how the Sagrantino wine is made. Much of the production occurs around the town of Montefalco, which is just to the west of Assisi, and the wine is now named Sagrantino di Montefalco. While the classic Sagrantino was a sweet wine, since the mid-70s Sagrantino has been made in a dry, or secco style of wine, and these are the wines that put Sagrantino di Montefalco on the international wine map. Sagrantino di Montefalco is a deep, dark brooding wine with rich flavors of black plums, ripe cherries and black berries. It tends to have high tannins and benefits from some aging. Sagrantino di Montefalco is a DOCG wine, and as such the wine is required to see at least 30 months of aging with 12 or more in wood. The wine goes perfectly with the food of the region, and Umbria is known for game meats like wild boar, roasted leg of lamb, and game birds like pheasant and squab. Production of Sagrantino di Montefalco is pretty limited, but you can find the wine here in the States. I recommend looking for a few of the famous producers, including Arnaldo Caprai, Colpetrone and the passionate but quirky producer Paolo Bea. 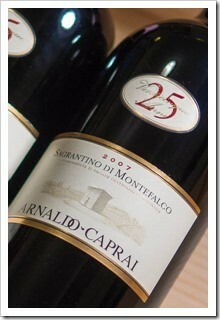 Caprai makes some delicious Sagrantino di Montefalco wines, including his Collepiano entry level DOCG wine. He’s best known for his remarkable 25 Anni release, which is aged for over 2 years in French oak barrique, resulting in a rich, full bodied and very powerful wine that can be enjoyed all by itself, or paired with rich fatty dishes like roasted lamb. Some of the producers in the region prefer to keep their use of French oak limited, and instead keep with tradition and use the giant botti made of Slavonian oak to age their wines. One of the purists is Paolo Bea, and he is often quoted as saying “Nature should be observed, heard, understood, and not dominated” – and this really comes through in his wines. While Paolo makes some pretty amazing passito, or sweet wines, it’s his dry Pagliaro wine that has become the classic benchmark of Sagrantino di Montefalco. I love the stuff. It bursts with a richness of black fruits, roasted fennel, dried herbal notes and spices, and a refined earthiness that balances out the wine. 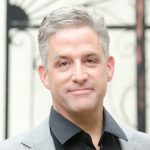 As of this podcast his 2007 vintage of Pagliaro is showing wonderfully. Paolo’s wine are not cheap, but if you can buy a few bottles to try, you won’t be disappointed. I have just barely touched the plethora of wines you’ll find in Central Italy, it’s a huge region and there’s so much more to explore. Let me give you two more wines you can find and enjoy, and they’re both from the region of Lazio, which is home to the Eternal City, Rome. The Romans drink a lot of wine. One of their favorites is Frascati Superiore, a simple white that can be slightly fizzy and remarkably refreshing, and it goes great with classic Roman dishes like Spaghetti alla Carbonara, or alla Gricia, or Cacio e Pepe. Romans drink millions of bottles of the stuff every year, and because of that, not much Frascati makes it to our American shores. You can find it online, and it’s really cheap, usually $10-15 a bottle. Just buy the most recent vintage, as it’s meant to be enjoyed young. If you’re hankering for a Roman Red to go with grilled meats or a nice plate of Bucatini all’Amatriciana, then check out a delicious wine called Cesanese del Piglio. Cesanese is the grape, and the wine is produced around the medieval city of Piglio, about an hour’s drive southeast of Rome. I love Cesanese, with it’s bright flavor profile of red cherries, crabapple, a touch of rhubarb, with some nice earthiness to it from the Piglio soil. It’s a great value wine, usually running around 15 to 20 bucks. It’s easy to find Cesanese del Piglio online and in some specialty Italian wine shops. Okay, that’s it for Part 2 of our 3-part series on Italy’s best regional wines. I encourage you to head to your local wine shop and pick up a bottle or two of a good Chianti Classico, maybe shell out a few bucks for a 2010 Brunello, or go try the sacred Sagrantino wines from Montefalco. If you like red wines, you won’t go wrong with the recommendations I’ve made. In our next episode of Dall’Uva Tasting Notes, I’ll take you on a tour of the most popular wines from Southern Italy. We’ll explore the whites and reds from around Naples in Campania, then head to the East coast of Italy for the hugely popular and super-cheap Montepulciano d’Abruzzo, take a jog down through Puglia to sample some Primitivo wines, then finish the series in Sicily with grumbly red wines from Mount Etna and delicious lighter whites & reds from around the island. Until then, this is Michael Horne with Dall’Uva, and thanks for listening, now go enjoy a nice glass of Vino Italiano. Like what you’re hearing and reading? Follow us on Facebook or Twitter for the latest on Italian wines, food and travel. for our occasional email updates on Italian wine, food and travel. 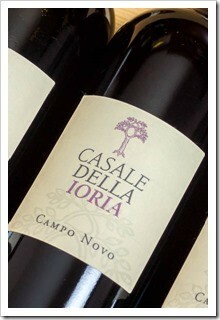 Ciao Maria — yes, Vino Nobile is one of the most wonderful wines of Tuscany, and definitely a favorite of mine. I do enjoy the wines of Avignonesi and Poliziano, but Contucci and Boscarelli are also wonderful. One of my favorites is from a tiny producer called Luteraia, and I sometimes have it stocked in my shop. You can find it here.